In the twenty-first century, relocation is not a rare term anymore. Gone are the days when people would spend their entire lives in one place and hardly move to another town or city. Today almost every individual has experienced relocation for at least once in his life. In fact, the number of transferable jobs has greatly increased and people are not just moving within the country but undertaking international relocations too. However, even after such kind of lifestyle people are apprehensive about shifting and lack proper knowledge about the entire process. For most of the people, relocation is just packing goods and somehow moving them to the new place somehow managing to keep them safe and intact all through the journey. People do not have the exact and full-fledged idea of the demands and requirements of the process of relocation and this is the reason why it looks so gigantic and terrifying. This article mainly focuses on the ways to make shifting easier, quicker and safer. Also, when we talk about safer, we must remember that the process should be safe both for our belongings and for the environment as well. Relocation involves packing which further involves the use of many different shapes and sizes of boxes. Now when we are focusing on a greener relocation it becomes our primary duty to reduce the use of all the items which are made from trees and other natural resources. Let us also understand that DIY is not an option for relocation. You need to have professional support and by this, we mean the expert guidance of the packers and movers who work effortlessly to help people like us who need support with the shifting process. The movers and packers know better than anyone else how to cut down on the number of boxes and still maintain the best level of protection and safety for the goods. 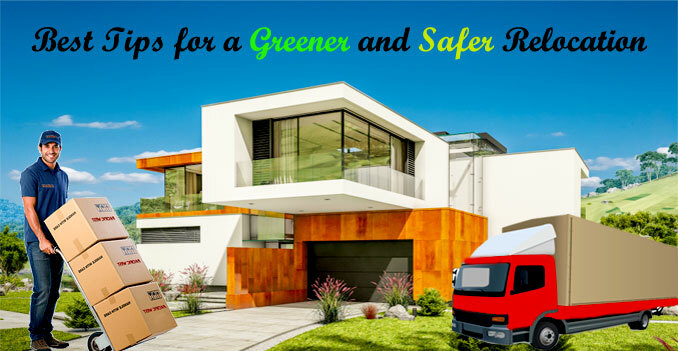 Moreover, if you hire packers and movers in Indore from PMDIR, you can also talk to the support staff at length and discuss all the modern and upgraded ways to preserve the environment during the process of shifting. Another resource that we tend to exhaust and exploit during relocation is fuel. Just imagine the amount of fuel which will be consumed if you take multiple rounds from the initial to the final destination. This mostly occurs when there is no proper planning and organization of work and when you are trying to relocate by yourself. However, with experts by your side, you will just require one vehicle and one round to deliver all your goods to the final place. The easiest, safest and most harmless way to relocate is with the help of the movers and packers. If you are seriously concerned about the environment and want to make certain that you do not contribute to the destruction of our natural resources, you must consider contacting PMDIR without any further delay and hiring the best moving company for your relocation. How to Prepare for Packing and Moving? Que. How many days prior must we start preparing for our relocation? The number of goods, and so on. However, if you have hired the packers and movers, it is a guarantee that they will need less than half of whatever time you would have taken. An ideal relocation process starts on the day when the decision of moving is finalized. There are thousands of things that need attention. Therefore, the sooner you begin the better it is. Que. Which is the best season for relocation? Ans. Well, relocations usually don’t take place according to your preference. You always have a deadline have to relocate before that. Some have to join new offices, people who relocate after promotions have to take up the charge of the post on a certain date, families with children have to make sure that their kids rejoin the session as soon as possible, businessmen with offices and factories can definitely not afford a long gap in their work. So we see that everyone is preoccupied and is left with literally no choice. However, if you are relocating in monsoon, you must start your preparation at the earliest hour possible. Also, in such cases, hiring a moving partner is a must for a safe relocation. Que. Which option is better? Hiring movers and packers or DIY shifting? Cost effective services: You will not have to spend a huge amount again and again at every step. Once you hire a movers and packers agency, PMDIR assures you that you will have to pay only once at the time of finalizing the contract and never again. 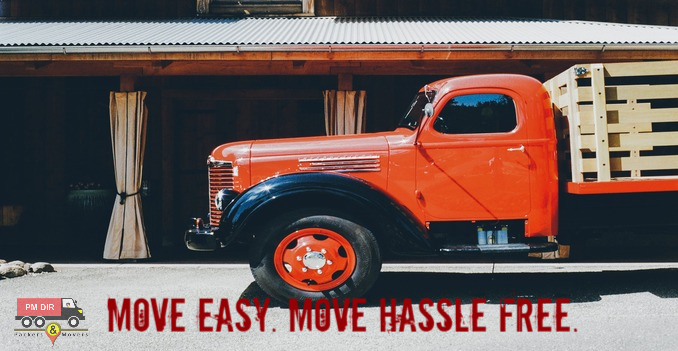 Less time consuming: Since the moving experts are “EXPERTS” in their field, they know the quickest and safest way to pack and move your goods. Que. Does every moving company offer insurance? Ans. We all know that the goods are covered under various insurance schemes when you hire packers and movers. However, these insurances are not fixed for every service. In simpler words, it is up to you to decide how many kinds of insurance policies you need for your goods. Therefore, yes every moving company offers insurance but these insurances are chargeable and up to your discretion. Now that all of your questions are solved, you are good to go. HAPPY RELOCATION! Decide a budget and stick to it: Along with being daunting and tedious, relocation is an expensive affair too. If you don’t plan it properly, you will end up spending a fortune on this process and the worst part is that the amount of money you will spend was not even required. Therefore, pre-plan your move and create a budget. Spend only when and where it is genuinely required and try to save as much as you can because your expenses will rise at a hiking rate once move to a new place. 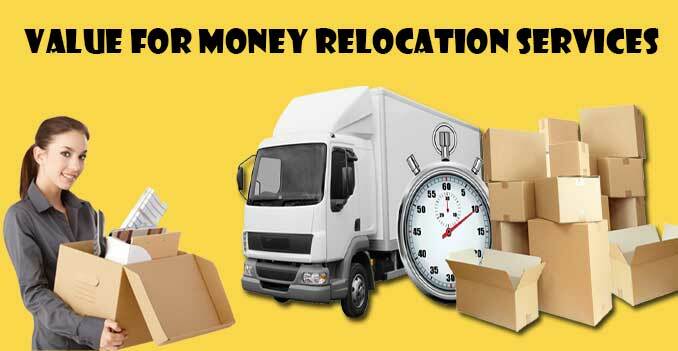 Spend some amount on hiring good movers and packers so that your other moving expenses and reduced to zero. Stay organized: Take an inspection of your house and check for all the unnecessary items. There are certain items in every house which are in perfectly fine condition but are not used since long. Taking such things along will only result in the consumption of more money and time. After sorting them out, gather these things and sell, donate, or dispose of them. After that, make a list of the things you need to take with you to your new home. 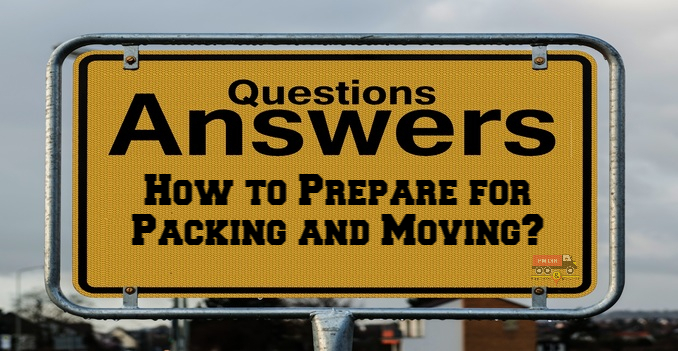 Start it early: The major part of packing will be done by the packers and movers; however, there will be things that you have to pack by yourself. It is best if you pack them as early as possible so that you have time left for other important things later on. Hire reliable movers and packers: To eliminate the stress and hassle of moving from your life, the best way is to find trusted moving companies for the job. Use the excellent services of PMDIR for hiring the best moving partners. Get free quotes from more than one relocation service company and choose the one that fits you best. Insure your goods: Safety is the priority. Insure all your goods to cover the damage caused due to any reason while packing and moving. It is important for both short and long distance relocations; however, long distance shifting includes many different kinds of insurance policies. You must make sure that your goods are covered under all of them. Carry your own inventory list: Although the packers and movers in Delhi will provide you with an inventory list, it is best if you have made one yourself. Just keep a count of the number of boxes and stuff that is being moved. If you hire moving companies from PMDIR, the chances of getting trapped by a shady company are almost zero; however, if you plan on hiring them from somewhere else, you must be prepared thoroughly. Follow these simple tricks and we promise that your relocation will end successfully in a smooth and fuss-free manner. Relocating due to better job opportunities or promotion? It is a good and fresh change isn’t it? But you are nervous and anxious! We understand that quite well. It is not an easy decision to make. On one hand, when you have amazing choices and chances of waiting, on the other hand, your old, comfortable and familiar life is pulling you towards itself. It is a tough choice but if you win over it, you are one step forward towards building a better life for yourself. Stay Organized and Systematic: The major stress which affects during relocation is due to mismanagement and haphazard planning. To remain stress- free, you need to manage everything in an organized manner. Maintain a to-do list and plan your day to day tasks accordingly. Make sure that your list maintains a record of the things to do at both the initial and final places of movement. Take help: Make use of all the help available to you. If you are moving with your family, ask your relatives and friends to take care of your children for some time, meanwhile, you take up the other important works. Also, the packers and movers offer pet relocation facility as well. So, if you have a pet, you need not worry anymore. Hire movers and packers: The first thing you need to do right after your relocation finalized is hiring the best relocation service provider in your city. When you are supposed to move and join office soon after, you need to be quick and be done with the moving task as early as possible. You can’t afford to miss the first day at your office because you couldn’t relocate and settle on time. Also, the workload at the workplace will be huge; hence, you cannot plan to unpack after joining your office. But when you have packers and movers in Delhi with you, your moving job is made easier. You will not just relocate on time but will also be able to unpack, arrange, and organize your house before your first day at work. Explore your new place of residence: Before you relocate, pay attention to certain important points such as the climate of the city, the cost of living, suitable places for residence, and local markets and important places near your residence. Also, as it is said, “know thy neighbors”. Meet and greet the people living close to your house so that it becomes easier for you to adjust to the new environment. Small efforts from your side will give you friendly and caring neighbors. Avoid long-term commitments when it comes to renting: This is an extremely important point to keep in mind. No matter how wonderful your rented apartment and its locality seems, never get into any long-term commitments during your initial days. If you have your own house, that’s cool; however, if you are going to rent a place, make sure that your contract does not extend for more than six months. Once you spend a few months, you will realize whether you want to stay in this place or not. If you, extend your contract and if no, well, you can leave right after your six months’ time period is completed. 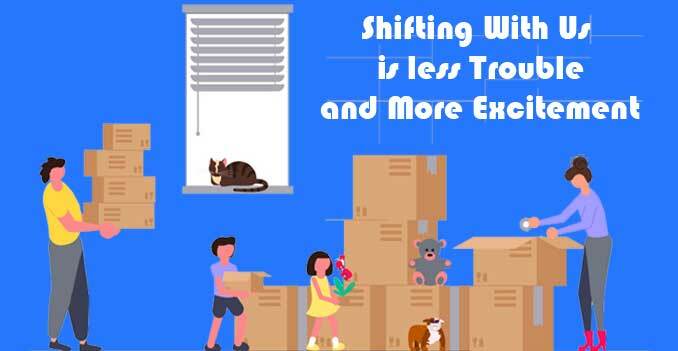 Moving involves a number of tasks such as packing all your stuff then transporting it to your new destination and then unloading it and the most hectic of all unpacking and rearranging all your belongings to a new place. 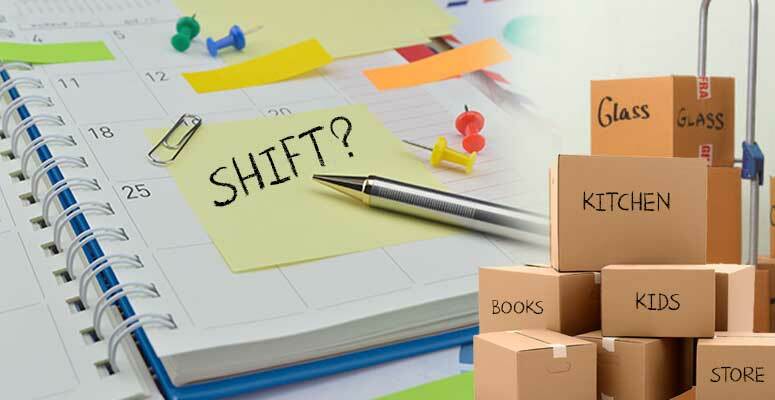 In order to get rid of all these stress and experience a swift shifting many people now seek help from relocation service and hire packers and movers to do the laborious task. Long gone are the days when people use to do all the shifting on their own and then get drench with the stress of moving to a new place now almost everyone seeks help from movers and packers and therefore it is very important to hire reliable packers and movers. While choosing for good packers and movers especially in Mumbai you must always go with the company that has a good experience in this field because of course, you cannot rely on a naïve company and hand them over your valuables. Always go with government registered companies, Limited or Private Limited. Avoid any proprietor or local packers & movers. Better go with some recommended packers & movers and avoid any unknown and local packers & movers. Call them and judge whether seems genuine and reliable or not. You’ll never know why one company charges more than another, so do the research before you chose your packers and movers company. One main reason could be that they offer less manpower, this would mean packing your house will take double the time! The other reason could be the equipment and materials that they use, it might not be the best and it might not suit your needs. So it occurs to me that going for the cheapest option is not always helpful but instead if you can increase your budget a little then always go for the quality of service and they will prove to be more reliable.